If you’re anything like us, the run-up to Christmas seems to get busier and busier every year. Well don’t worry; Late Night Shopping is here to help! Happening on Thursday 13th and Thursday 20th December, this is your chance to dodge the crowds, bag the best gift ideas, and avoid a last-minute panic the weekend before the big day. 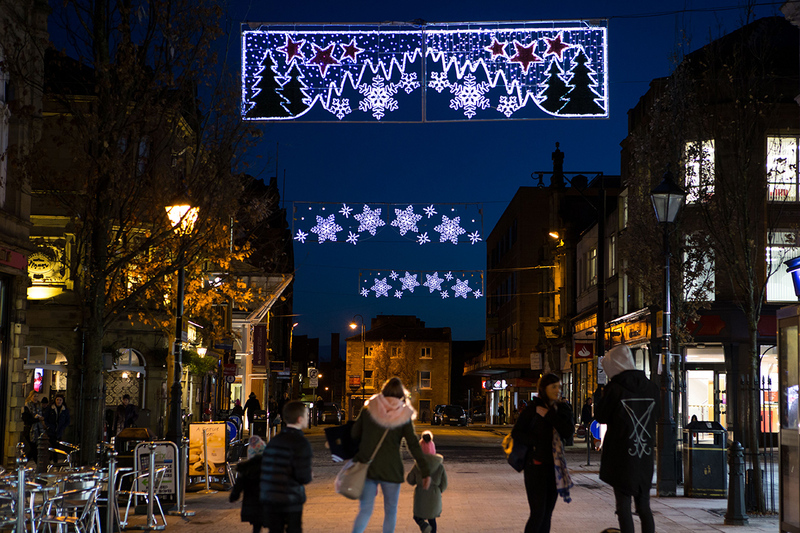 It’s not all about practicalities though – late night shopping is the perfect chance to get the festivities off to a flying start too. We’ve teamed up with local businesses to arrange some tantalizing discounts on food and drink – great for getting into the Christmas spirit and keeping your energy levels up. Whether you meet with friends or bring the whole family, you’ll enjoy plenty of seasonal atmosphere thanks to this year’s better-than-ever Christmas lights. There’s even an amazing 3-metre snow globe to climb inside too – a wonderful Christmas photo op if ever there was one. Don’t forget free parking at Woolshops, plus various special offers at some of the many shops opening their doors to welcome you. All in all, Late Night Shopping is definitely an event in itself! When: Evenings of Thursday 13th and 20th December.